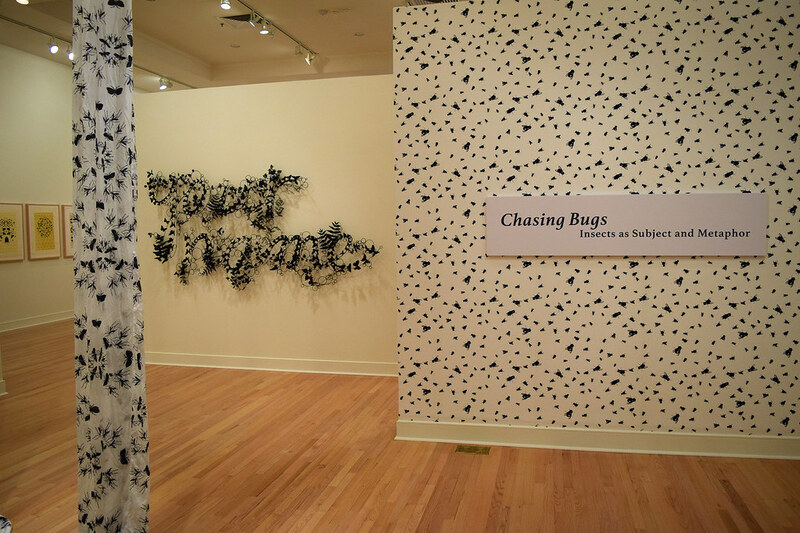 Chasing Bugs: Insects as Subject and Metaphor is on view August 23 through October 3, 2017, in the Harnett Museum of Art, University of Richmond Museums. This exhibition explores our abiding fascination with insects in science, literature, and the arts with images created from the late 1400s to the present. With more than one hundred artworks (and within those pieces often scores of insects), the exhibition is an extended look at more than five centuries of naturalists and artists representing the insect as subject matter and symbol. 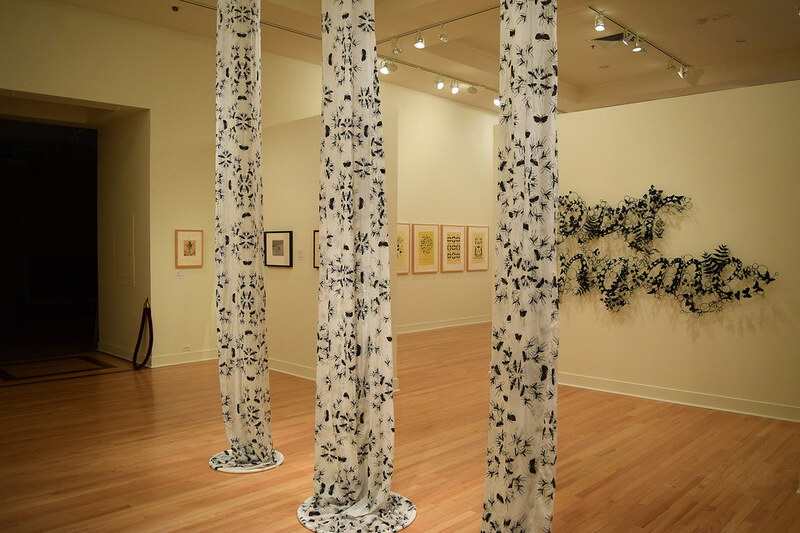 Just as entomologists continue to chase their elusive insects and spiders, contemporary artists continue to pursue bugs for intriguing and meaningful metaphors. 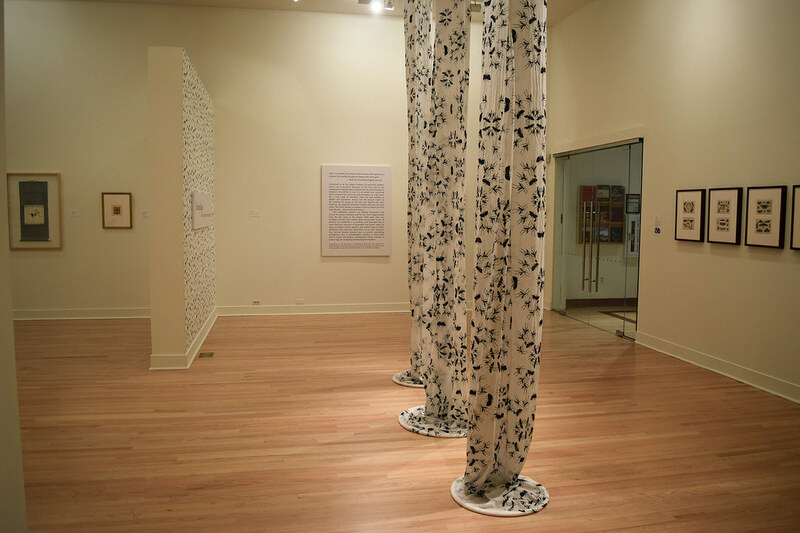 The exhibition features works by more than forty artists working in various media, including prints, drawings, paintings, photographs, sculpture, ceramics, and video. The earliest work in the exhibition is an image of bees printed in 1491 in Germany. Prints from the 1600s include works by Jacob Hoefnagel (Flemish, 1575-1630) and Wenceslaus Hollar (Bohemian, 1607-1677). The 18th and 19th centuries are represented with works by Moses Harris (British, 1730-1788), Jules Jacquemart (French, 1837-1880), and Johann Friedrich Volkart (German, 1750-1812), among others. Twentieth-century artists include Leonard Baskin (American, 1922-2000), Andreas Feininger (American, 1906-1999), Anthony Gross (British, 1905-1984), Jean-Emile Laboureur (French, 1877-1943), William Neave Parker (British, 1910-1961), and Emile-Allain Séguy (French, 1877-1951). Works in various media by contemporary artists include pieces by Paul Bush (British, born 1956), Teresa Cole (American, born 1961), Russell Hart (American, born 1953), Sue Johnson (American, born 1967), Deborah Stratman (American, born 1967), Paul Villinski (American, born 1960), George Whitman (American, born 1944), and Rob Wynne (American, born 1950), among others. Organized by the University of Richmond Museums and curated by Richard Waller, Executive Director, University Museums, the exhibition is made possible in part with funds from the Louis S. Booth Arts Fund. Wednesday, August 30, 2017, 6 to 8 p.m.
Friday, September 29, 2017, 2 to 4 p.m.
Science Matters Pick of the Week explores our abiding fascination with insects in science, literature, and the arts with images created from the late 1400s to the present. Listen to the interview (http://bit.ly/2x9JKVB) with University of Richmond Museums curator, and executive director, Richard Waller. 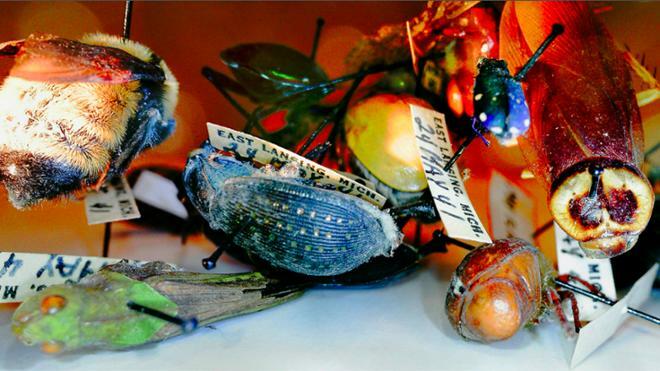 "Evolving Fables: Insects and the Imagination"